Mikan-chan has a pedigree certification. 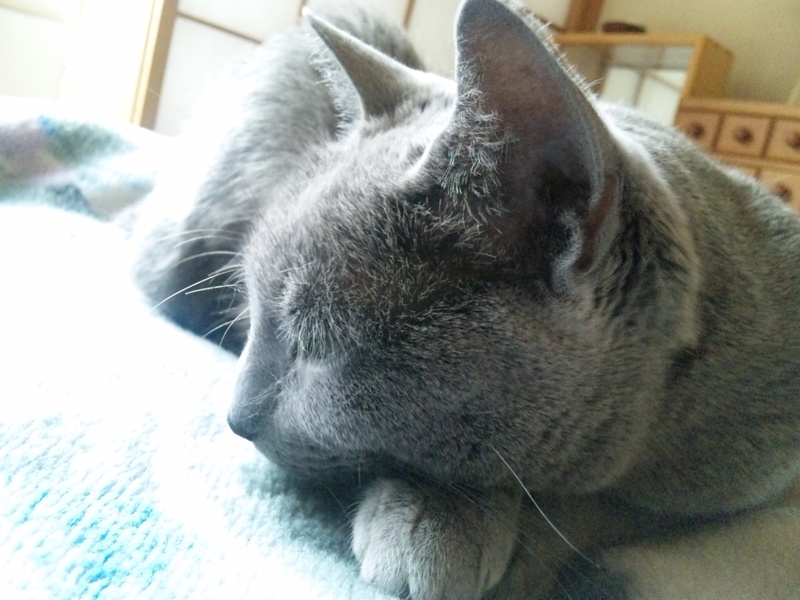 However, she looks much smaller than stereo-typed Russian Blue breed. Her round face, soft muzzle line and fluffy coat, all different from the ones awarded in cat shows. Well, does it matter? She is the prettiest in the world for us. And that is all.